Temperature is dropping, but you know it’s the time to explore the whole new world of winter activities and scenes in South Korea. So, don’t hibernate at home! Explore all the fun out there. 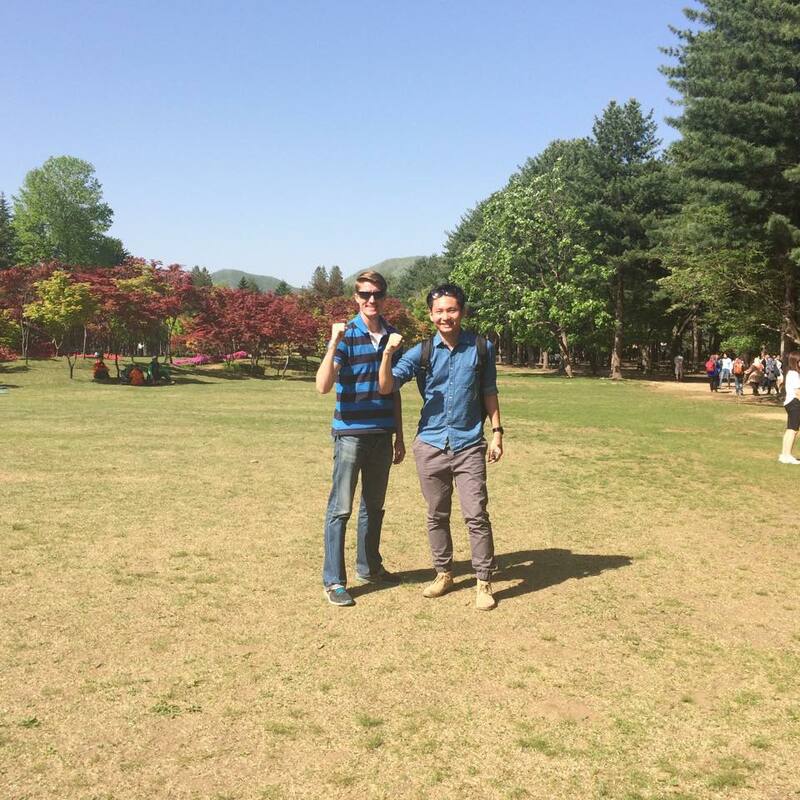 A lovely day trip to Petite France and Nami Island (Namiseom) in Korea. Although Petite France Village and Nami Island are known as two of the most popular travel destinations in Korea, it’s not easy to get around the places when you actually want to visit, especially for foreigners without a vehicle to move freely. One of the best and the most convenient ways to reach these places is to take a package trip available out there, which offers a hassle free tour. We’ll show you around how we got to visit and enjoy the attractions! We guarantee you this will be the most thorough review of the day trip adventure. First, there are two options for departure: Seoul Train Station (Line 1) or Hongik University Station (Line 2). Nami Island is, without a doubt, one of my all-time favorite Korean attractions. Sure, it's touristy, but with good reason. The island's stunning scenery and artistic atmosphere make it an ideal destination for nature lovers and design enthusiasts alike. Because Namiseom is a bit of a journey from Seoul, I'm not able to get out there as often as I'd like; so, when the Korea Tourism Organization offered me tickets to the island's annual music and camping festival, I jumped at the opportunity and figured it was the perfect excuse for making the two hour trip out to Chuncheon. The Rainbow Island Music and Camping Festival was started in 2011 and past lineups have included international headliners like Jason Mraz, Christina Perri, and KT Tunstall. In just two short years, the festival has gained a reputation for being one of the country's best outdoor celebrations of music. One-day and three-day tickets are available for purchase each year. In addition to promises of amazing music, the festival is one of the only weekends of the year when camping is allowed, as to preserve the island's ecosystem. Festival-goers holding three-day tickets can opt to reserve camping spots, either by renting the festival's tents (which include sleeping bags, lanterns, and mats) or bring their own tents. Both options include access to a number of showers. I love living in a city. I've even gotten to the point where I don't think I'd be able to survive not living in a city. I have to admit, however, that sometimes it's nice to get away from the neon and concrete, if only for a day. One of the great things about Seoul is that there are a variety of places nearby that allow residents and visitors to escape the city and explore the softer side of Korea. One of the best day trips to take, so long as the weather permits, is to Nami Island. Situated in Chuncheon, 60km east of Seoul, Namiseom is a small oasis of culture and tranquility (when it's not packed with people).